“There is a reason that it takes people months to find their perfect home – it is a long-term commitment that requires plenty of planning and research. When you are considering buying property, be it as an investment or a home to live in, it has to meet your financial and personal needs. Furthermore, the home has to be worth its monetary value,” says Albertus van Staden – Head of Credit at FNB Housing Finance. “There are online tools such as FNB’s Property leader that can give you an estimated loan amount. Keep in mind that this amount is based on an assumed interest rate and may not be what you will receive from the banks, so perhaps take 10% off this amount to give you a better chance of bond approval the first time around,” says Van Staden. Furthermore, you would need to do proper research on how much you can expect to pay rates and taxes, levies or HOA levies, which would vary depending on whether the property is a sectional title or a freehold - these costs are sometimes a big part of your monthly cost. “Once you have a clear indication of what you can afford then the fun part begins; looking for your ideal home,” adds Van Staden. An additional factor to consider is the security of the area and how close you are to amenities such as malls and schools as well as the accessibility of main roads from your property – these all add to the value of your investment. Also, consider any possible future developments that may take place in the area. For example, a new mall or school which may improve the demand for your property in the future. Viewing property is the best way to get an accurate feel for the home that you will be buying. These days it is easy to sit behind your computer and view from a property website. However, when you go to the property itself you will get an idea of additional things that you should consider such the status of the neighbourhood and whether it is quiet or noisy. You also get to see whether the complex you want to buy in is well kept. It is also very important to ask for the body corporate financials, as you do not want to be left with nasty special levies to pay arrear accounts. “Buying a home is a hefty investment and you can never be too careful. 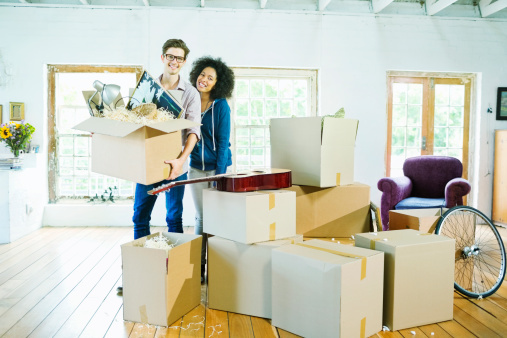 Taking the time out to do your research and going the extra mile to check that you are inheriting a solid property, may be time-consuming, however, it is the best way to ensure that you can live happily ever after in your new home,” concludes Van Staden.